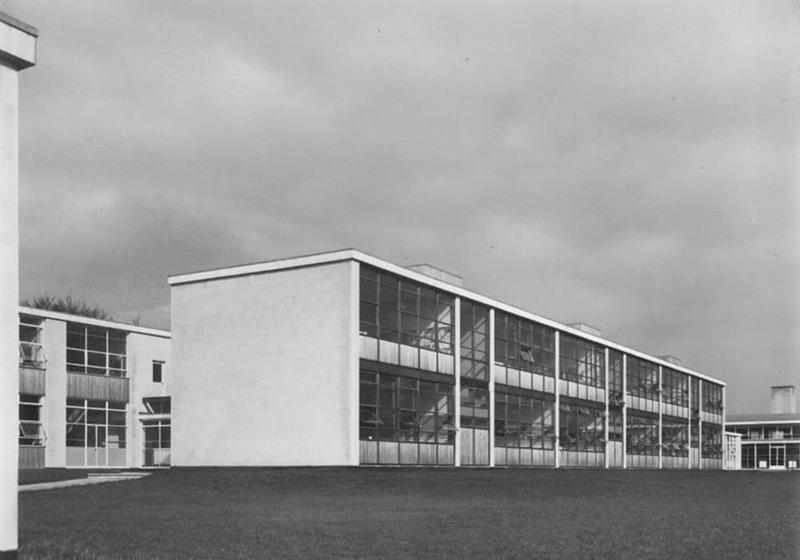 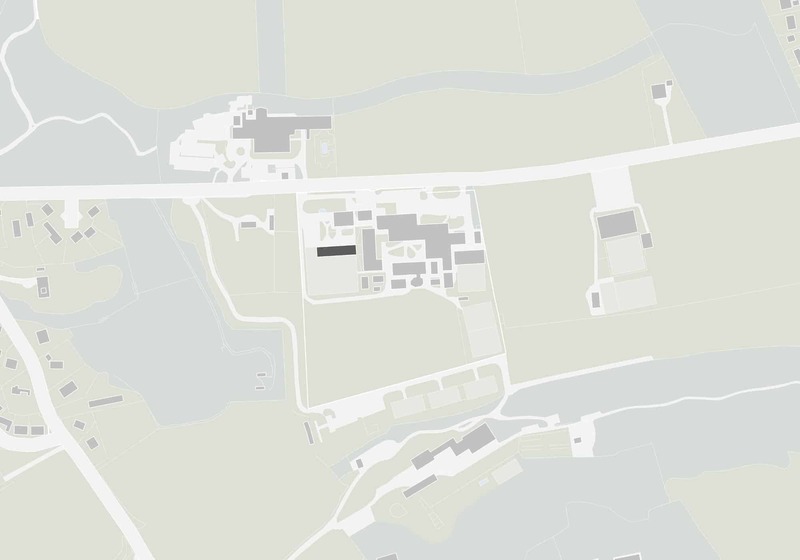 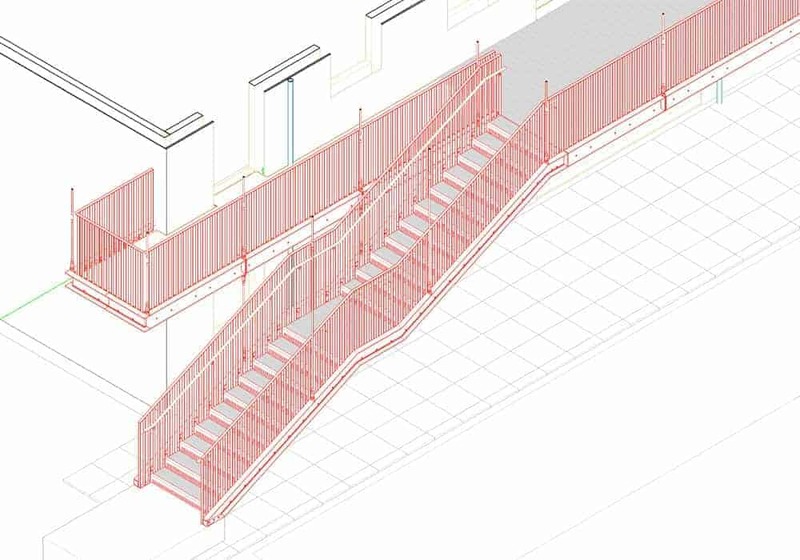 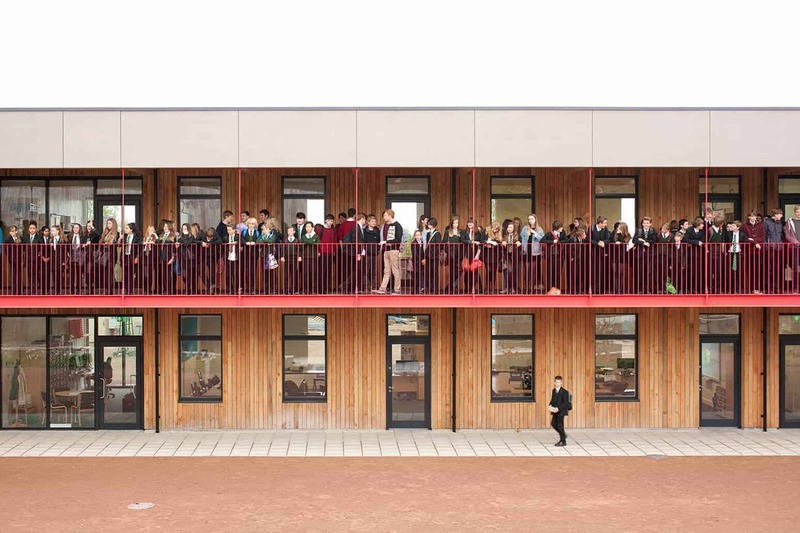 As part of the ongoing Ralph Allen School Masterplan developed in 2010, the purpose of the new block is to replace outdated, temporary buildings that clutter the south of the campus with a purpose-made teaching block on the west of the school site. 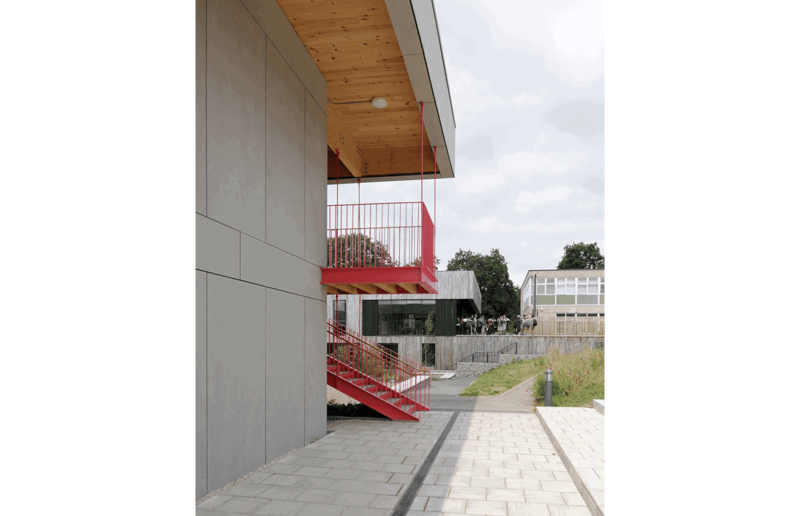 The placement for this new building mirrors the original block, aligned at either end of a new organisational “street” running east-west through the school. 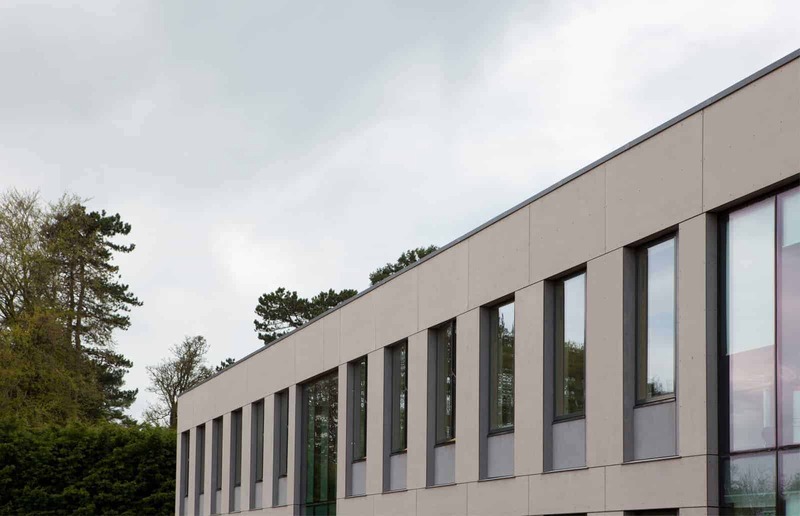 The new addition, placed south of the Applied Learning Centre forms a new courtyard of similar scale to the main quad at the heart of the school. 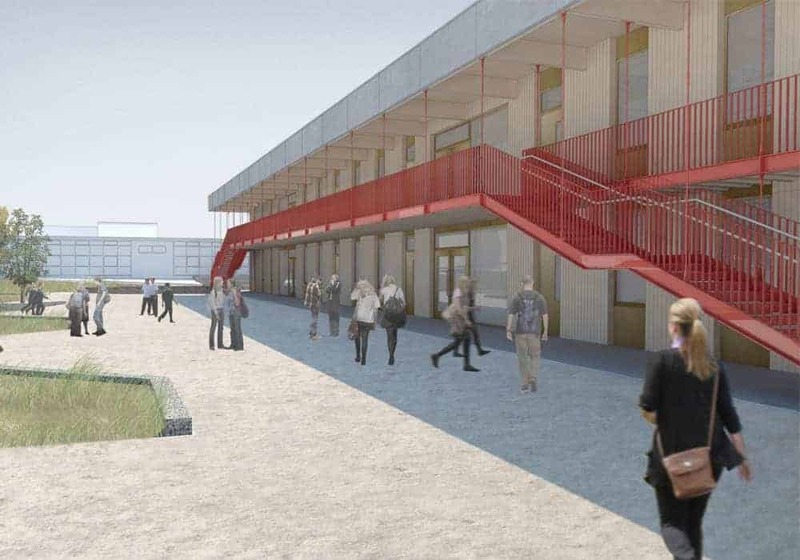 The new block aims to emulate the rationality of the original block, whilst providing high performing teaching spaces. 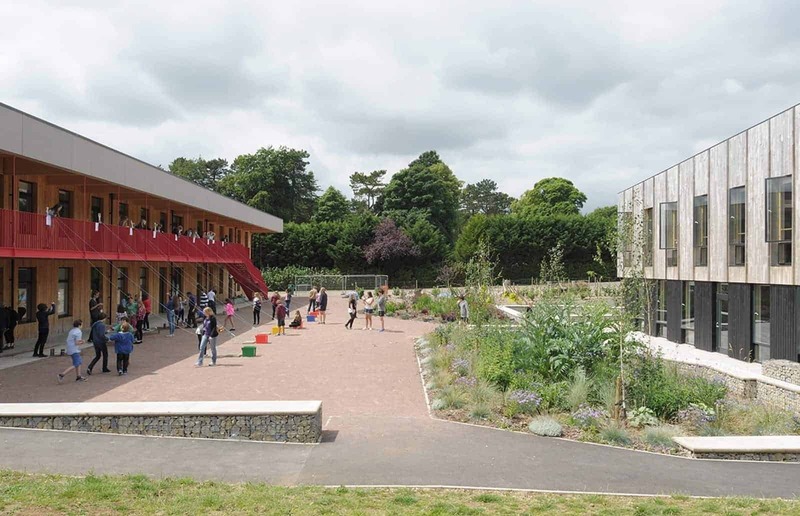 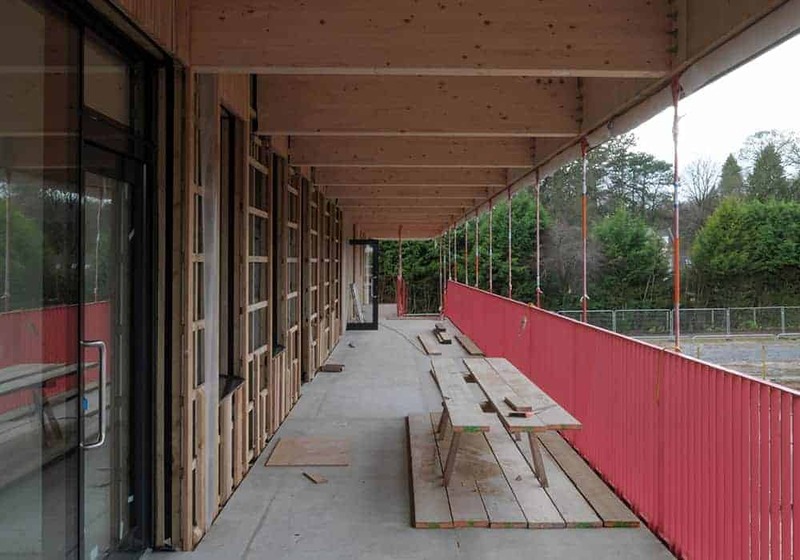 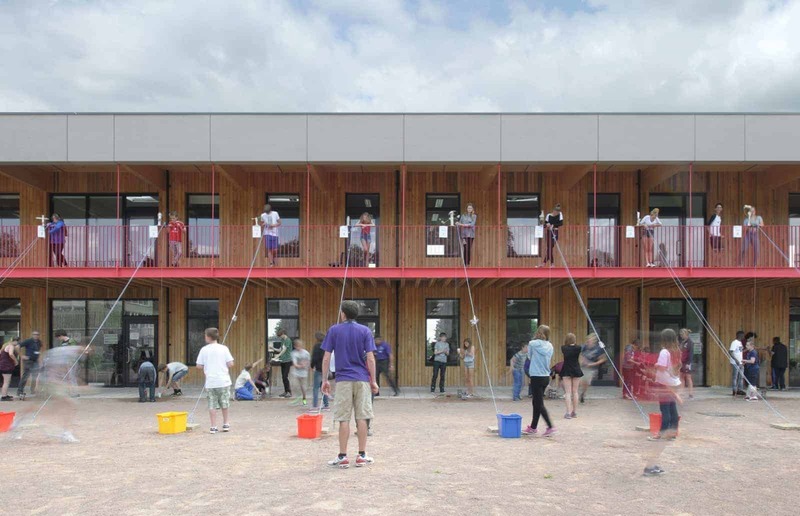 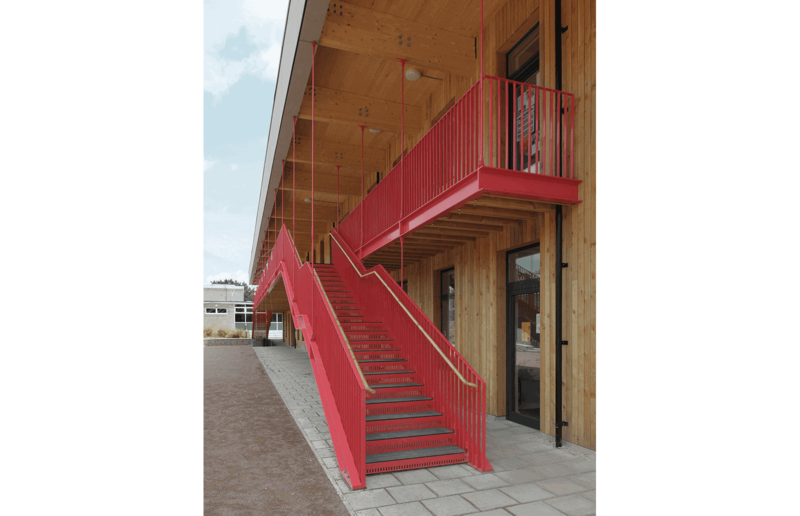 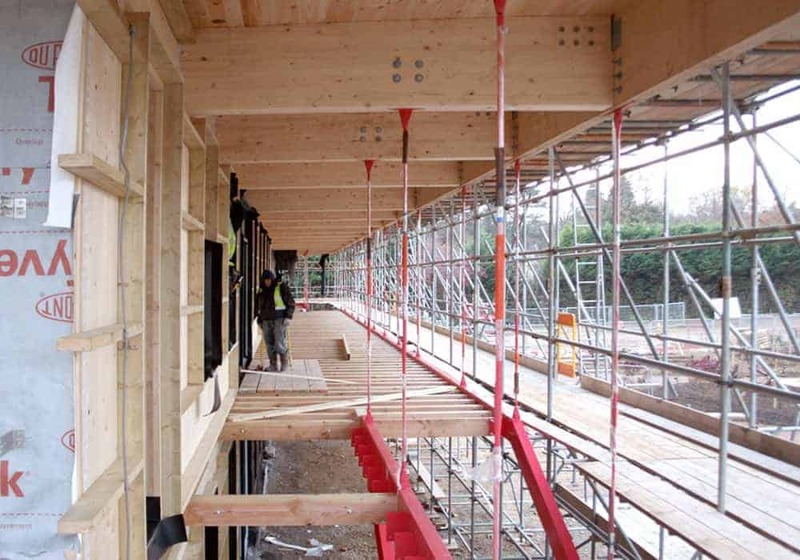 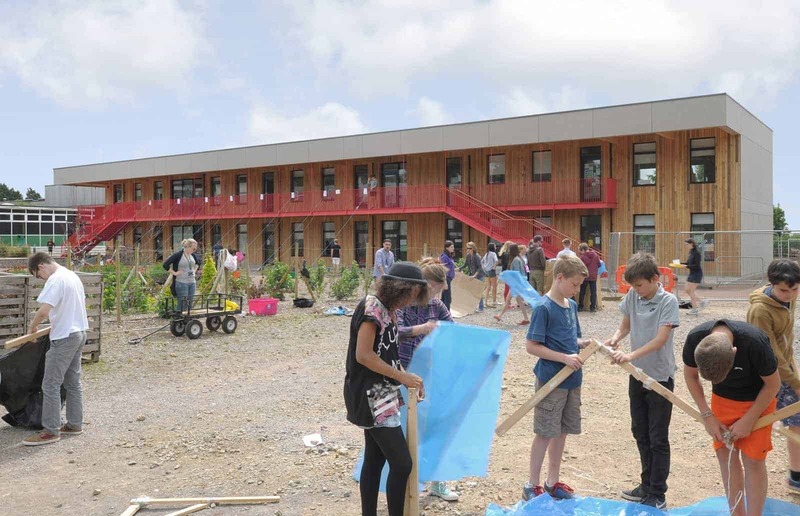 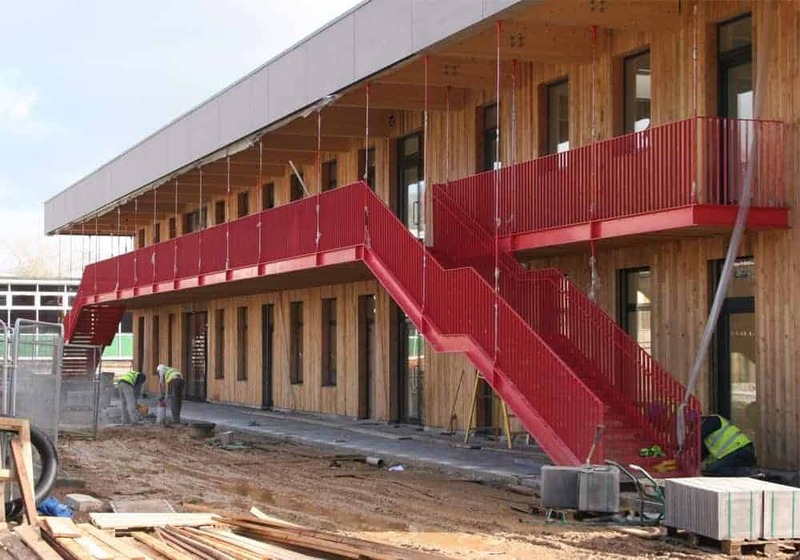 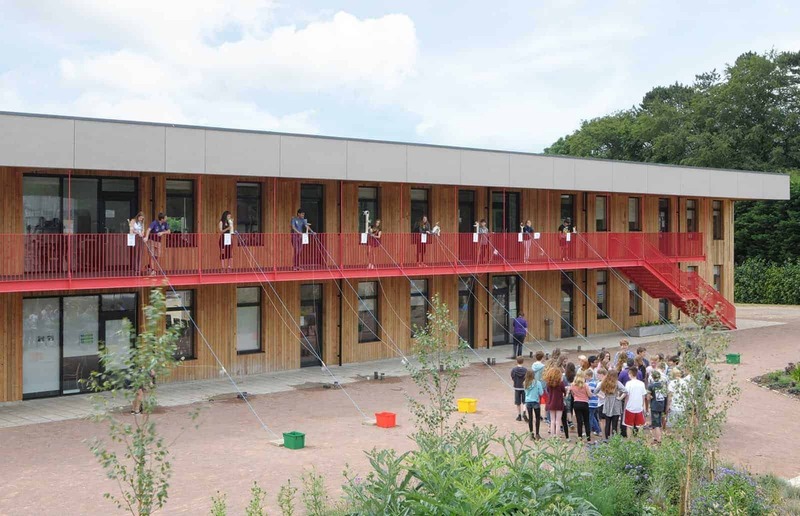 Construction takes cues from the Applied Learning Centre, with a cross-laminated timber structure – exposed at least once in each classroom – and timber cladding to the north walkway facing the shared courtyard shared. 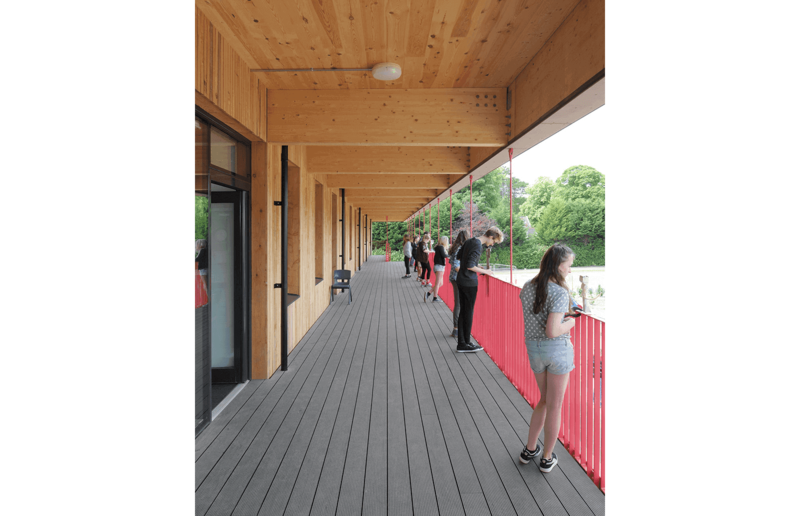 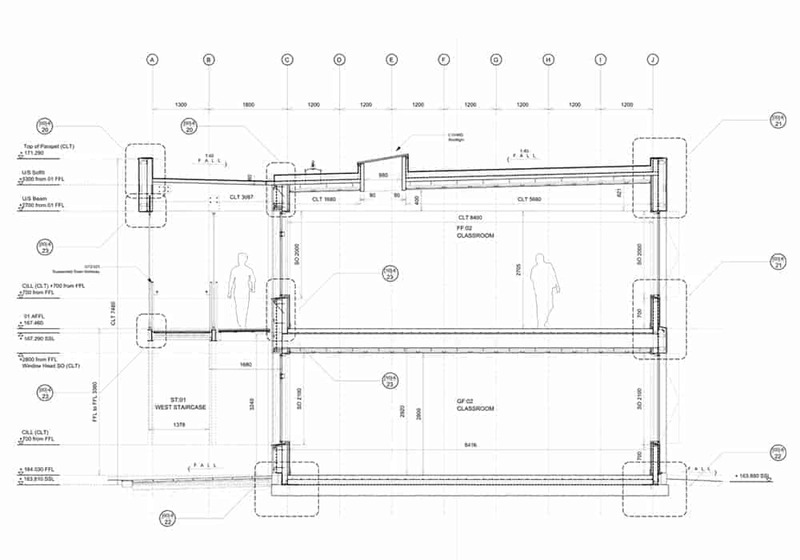 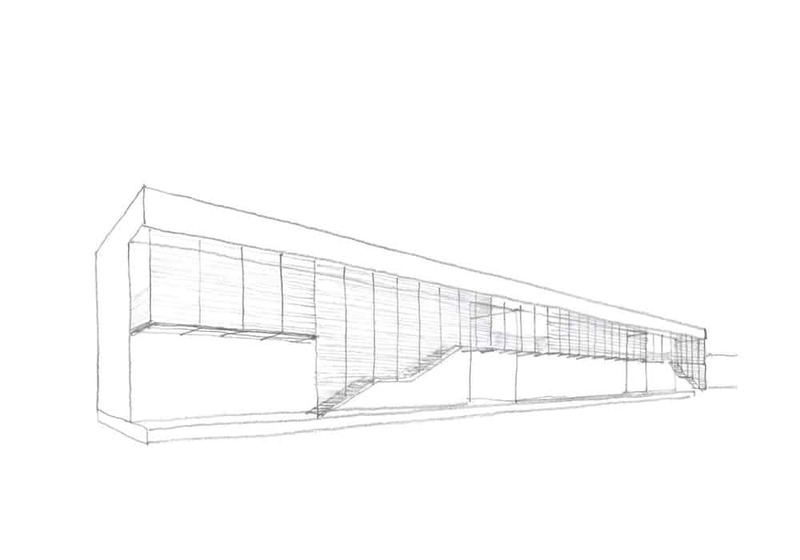 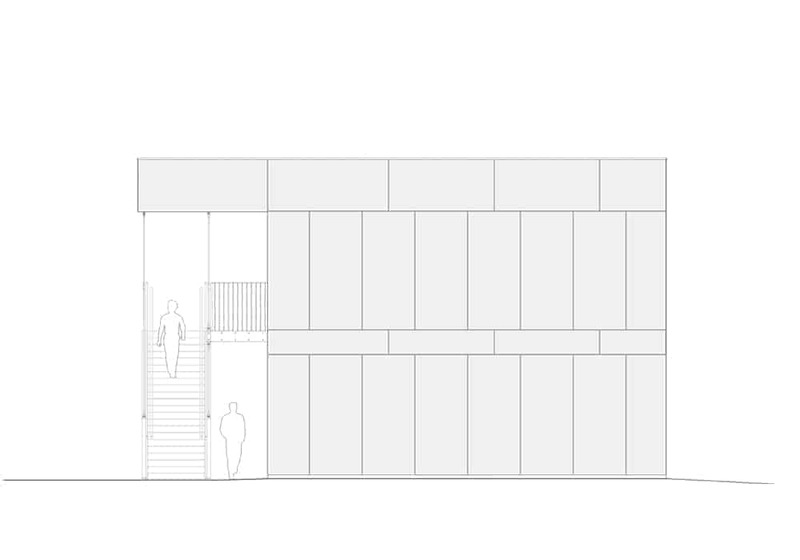 Soft timber linings to two links through the building, connecting the courtyard to the southern landscape, and the covered walkway, emphasise the notion of cuts in a solid mass.